After a crazy run the last few days into month-end, Nasdaq slipped notably lower after the pitiful payrolls print… All major indices closed lower post payrolls. This post was published at Zero Hedge on Sep 1, 2017. This is a syndicated repost courtesy of Snake Hole Lounge. To view original, click here. Reposted with permission. August jobs reports are always a little odd. And August 2017 is no different. Only 156K jobs were added in August and the U-3 unemployment rate rose slightly to 4.4%. This post was published at Wall Street Examiner by Anthony B Sanders ‘ September 1, 2017. In less than two weeks, a WhiteHouse.gov petition demanding that billionaire investor George Soros be declared a ‘domestic terrorist,’ and that authorities seize his multibillion-dollar fortune, has garnered nearly enough signatures to force the Trump administration to issue a formal response. The petition, which has attracted 80,000 signatures so far – just 20,000 shy of the 100,000-signature threshold where a response would be required – accuses Soros of being guilty of sedition by financing groups that help support violent Antifa counter-protesters and other dangerous leftist groups. Last week, we reported that a similar petition, this one asking that President Donald Trump declare Antifa to be a terrorist group, had reached the threshold. The petition is still awaiting a formal response, but in one promising development, Politico reported today that the Department of Homeland Security had described the group’s actions as ‘domestic terrorist violence’ in private memos. Over the past week, the mainstream media narrative has turned decidedly against Antifa, with the Washington Post, Bloomberg and the Atlantic publishing stories criticizing the group’s violent tactics. The culture wars have infected every aspect of American life. It’s not just Red vs. Blue anymore, or urban vs. rural, it’s Antifa vs. the alt-Right – sometimes literally in the streets. Have libertarians lost the narrative in the midst of all this? Are they mired in the same Left/Right divisions that plague society generally? Our good friend Dave Smith, a comedian and a frequent guest on Fox News, joins Jeff Deist to discuss. This post was published at Ludwig von Mises Institute on Dave Smith. This post was published at Harvey Organ Blog on September 1, 2017. Residents in the vicinity of the Crosby plant, and not only, have grown especially worried about the chemicals contained in the plant, which until recently was only known for holding various forms of organic peroxides. While Arkema executive Richard Rennard said in a press conference Thursday morning that the plant was emitting “noxious” smoke, he would not respond to a question as to whether the smoke from the burning substances was toxic. Incidentally, the following clip shows what happens to the substance if not cooled properly. “But, but, but, rates have nowhere to go but higher…” is all we have heard for the past year. But what if that is incorrect? It is only logical to assume that after 8.2 years of unimpeded GDP expansion in the US, we are near to the other side of the business cycle, a recession. The average expansion since 1900 is 3.8 years, and this one is already the 3rd longest, only bested by an expansion in the 60’s at 8.8 years and the expansion in the ‘Roaring 90’s’ at 10 years. I found it amusing that Mohamed El-Erian wrote an opinion piece for Bloomberg which asserted that gold is not much of a ‘safe haven these days.’ His thesis was entirely devoid of material facts. His underlying rationale was that safe haven capital was flowing into cryptocurrencies rather than gold. I guess if one has a western-centric view of the markets, that argument is a modicum of validity. However the scope of the analysis omits that fact that the entire eastern hemisphere is converting fiat currency at a record pace into physical gold that requires bona fide delivery outside of western custodial roach motels. This post was published at Investment Research Dynamics on September 1, 2017. The media has taken President Trump to task for all manner of false or exaggerated claims, but surprisingly little has been said about Trump’s most glaring forays into abject hypocrisy. Recently, on the Joe Rogan podcast, economist Peter Schiff outlined how Candidate Trump rightly questioned the reliability of unemployment data and stock market performance, but reversed himself completely on those fundamental views after the election. This post was published at Euro Pac on Friday, September 1, 2017. Texas resident Joe Roan woke up to a rather unpleasant surprise yesterday morning as he discovered the remnants of a would-be thief attempting to steal gasoline from his Jeep Wrangler tank. Unfortunately, as a local CBS affiliate pointed out last night, with refinery outages resulting in growing gasoline shortages, this is becoming a rather common occurrence for Texas residents. Joe Roan didn’t witness the crime, but he found the evidence in his driveway. ‘I came outside this morning and found this water hose was sticking out,’ he said, holding the hose a thief left hanging out of his Jeep’s tank. On the ground sat a gas tank. Roan said the thief didn’t even manage to get any fuel. The unprecedented destruction wrought by Hurricane Harvey will impact the US economy in ways may not be immediately apparent. Until recently, coverage of the storm’s impact has focused on property damage and the impact on the energy industry. But in a story published Friday, Bloomberg explains the devastating impact the storm has had on Texas’s chemicals industry, which is already causing supply-chain headaches for American manufacturers who’re struggling to source the chemicals required to produce plastics and other components used in everything from milk jugs to car parts. Indeed, if Texas’s chemicals plants are closed for an extended period, production at a potentially huge number of American manufacturers to grind to a halt. More than 60% of the US’s production capacity for ethylene – one of the most important chemical building blocks for American manufacturers – has been taken offline by the storm, a development that could ripple across the US manufacturing industry. The silver miners’ stocks have largely languished this year, grinding sideways near lows for months on end. This vexing consolidation has fueled near-universal bearishness, leaving silver stocks deeply out of favor. But once a quarter when earnings season arrives, hard fundamentals pierce the obscuring veil of popular sentiment. The silver miners’ recently-reported Q2’17 results reveal today’s silver prices remain profitable. Four times a year publicly-traded companies release treasure troves of valuable information in the form of quarterly reports. These are generally due by 45 days after quarter-ends in the US and Canada. They offer true and clear snapshots of what’s really going on operationally, shattering the misconceptions bred by the ever-shifting winds of sentiment. There’s no silver-miner data that is more highly anticipated than quarterlies. Silver mining is a tough business both geologically and economically. Primary silver deposits, those with enough silver to generate over half their revenues when mined, are quite rare. Most of the world’s silver ore formed alongside base metals or gold, and their value usually well outweighs silver’s. So typically in any given year, less than a third of the global mined silver supply actually comes from primary silver mines! This post was published at ZEAL LLC on September 1, 2017. The long-term economic oscillations between boom and bust are caused by changes in the money-supply growth rate. It can therefore make sense to monitor such changes, but doing so requires knowing how to calculate the money supply. Unfortunately, most of the popular monetary aggregates are not useful in this regard because they either include quantities that aren’t money or omit quantities that are money. What ‘Austrian’ economists refer to as TMS (True Money Supply) is the most accurate monetary aggregate. Whereas popular measures such as M2, M3 and MZM contain credit instruments, TMS only contains money. Specifically, TMS comprises currency (notes and coins), checkable deposits and savings deposits. 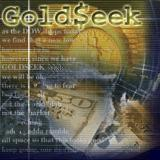 This post was published at GoldSeek on 1 September 2017. While the excuses are already flowing for the big miss in August’s payrolls, markets are reacting with currencies the biggest factor. ‘We are in the very late innings’ of this bull market, Ned Davis of Ned Davis Research told Financial Sense Newshour in a recent interview. Ned also offered his thoughts on risk management, why professional forecasters get it wrong in predicting downturns, his thoughts on a passive investing bubble, the problem of high debts, the likely path of interest rates, and much more. This post was published at FinancialSense on 08/31/2017. Having spiked briefly on the back of dollar weakness following a piss-poor payrolls print, EURUSD is tumbling back to unchanged on the day after Bloomberg reports that European Central Bank policy makers may not be ready to finalize their decision on next year’s bond-purchase program until December, according to euro-area officials familiar with the matter. S&P 500 Index: A Single Day Beats the Entire Week! Many market participants believe simple phenomena in the stock market are purely random events and cannot recur consistently. Indeed, there is probably no stock market ‘rule’ that will remain valid forever. However, there continue to be certain statistical phenomena in the stock market – even quite simple ones – that have shown a tendency to persist for very long time periods. This post was published at Acting-Man on September 1, 2017.